Since its founding in 1999, Meridiana has developed as an increasingly experienced company in the European real estate sector, with a successful track record that acts as a guarantee. Meridiana is constantly on the search for new investment opportunities in both the divestiture of large enterprises and property portfolios of banks. Each task is handled in a comfortable and efficient working environment. Working in this type of space ensures we offer our clients personalized real estate solutions, based on our experience and knowledge. We have a multidisciplinary team that allows us to address a wide range of projects and continue to grow with new initiatives. During these past 15 years, we have worked with many individuals and teams with whom we still have great relations with. Unintentionally, we have created a small yet strong international community that gives us ability to comfortably pursue new projects. In order to maintain our relationships, we utilize newsletters and organizing special events throughout the year to inform alumni on the happenings of the company. If you would like to get in touch with the community of Meridiana, sign up for the newsletter. The Cluster works to develop their activities within an international framework, both to attract investors and export goods and services to its members. The BUC is a non-profit association, open to all groups, professionals, companies and institutions linked to the property sector, who are willing to cooperate and participate in the revitalization of the sector. 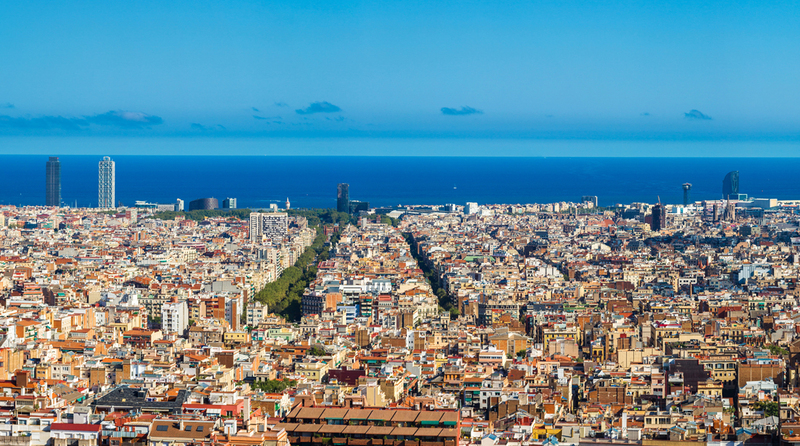 Created by the Barcelona City Council, the BUC’s propose is to promote the integration of companies in the sector, in an urban-estate cluster. The promotion encorages business opportunities that may be generated from the administration as a result of their advocacy. Barcelona brand strength, public-private collaboration, experience, networking, rigor and professionalism.